This is a copy of a photograph that was shared with me by my third cousin, Margaret. The couple are our great great grandparents, Ann Philp and Martin Burke. But who is the girl with them? Ann and Martin had three children: Mary (born 1863), Anne (born 1865) and Thomas (born around 1866), so presumably the young girl is either Mary or Anne. A few years ago I had a printout of the photo dated by American photo expert Maureen Taylor at Who Do You Think You Are? Live in London, who estimated it was taken in the 1870s. Given the birth years of the girls, it’s probably more likely to be Anne in the photo, though difficult to be sure. 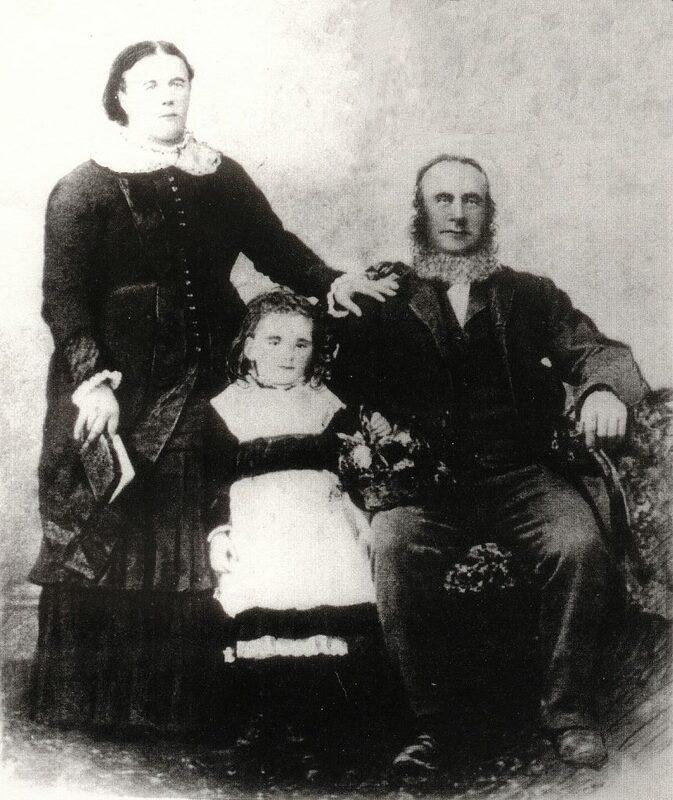 Martin and Ann, with baby Mary, emigrated to New Zealand in 1863 aboard the Mermaid, and settled near Christchurch, Canterbury. In two weeks I’m heading down to Christchurch for the New Zealand Society of Genealogists’ conference, Echoes of our Past, getting there a day early so I have some time for researching the Burke family! So much for getting back to blogging regularly, I keep getting distracted by other tasks. One of the more pleasant ones was attending the Celebrating the Census conference at the National Archives on Saturday. It was an all day event with two streams of presentations. Of course, there’s always a session or two where I’m torn between two different lectures! Dee Williams from ScotlandsPeople gave a great background of, and searching tips for, the Scottish censuses, and TNA’s Mark Pearsall highlighted their pre-1841 censuses and listings. Humphrey Southall (University of Portsmouth) gave a geographer’s view of the censuses and showed us their wonderful website of historic geographical information, A Vision of Britain through Time: “A vision of Britain between 1801 and 2001. Including maps, statistical trends and historical descriptions.” Go check it out. One of the nice things about events like this, is that you get to meet like-minded people. Thanks to everyone at TNA for a fantastic day!